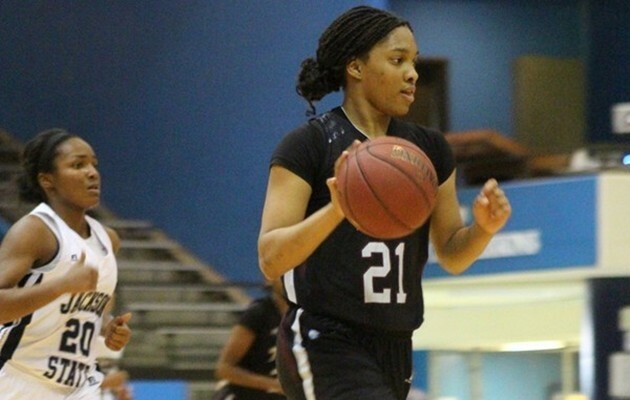 JACKSON, Miss.- The Texas Southern Lady Tigers won their tenth straight game on Saturday marking a new school record for consecutive victories as they defeated Jackson State 67-58. Texas Southern is now one victory away from matching the programs' school record for wins in a single season (14) since joining the NCAA. The Lady Tigers have been playing superb basketball since the start on SWAC play. TSU improved to 10-1 in Southwestern Athletic Conference play and moved into sole possession of first place in the league after a Southern loss to Arkansas-Pine Bluff. Freshman sensation Te’era Williams scored a game high 22 points on a 7-of-9 shooting night from the floor. Williams also grabbed five rebounds and dished out five assists. Morgan Simmons added 15 and Kayla West tallied 13 as Texas Southern controlled the tempo of the contest from start to finish. Texas Southern shot 43 percent from the field while outscoring JSU 40 to 30 inside the paint while also playing stellar defensively down the stretch run of the game. The Lady Tigers will travel to face Grambling State on Monday. Texas Southern will return home on February 16 as the Lady Tigers are slated to host Arkansas-Pine Bluff at the H&PE Arena located on the campus of Texas Southern University.